LinkedIn Premium allows you to stand out by making you a featured applicant in any job application. This will mean you move to the top of a hiring manager’s list and give your profile a higher chance at being viewed. LinkedIn Premium allows you to see who viewed your profile over the last 90 days – LinkedIn Premium shows you the keywords people used to find you and the industries and locations of your viewers allowing you to know who is interested in you and your service. You also get InMail messages which allow you to message a person regardless of whether you are connected or not. LinkedIn Premium offers you access to On-demand courses, learning resources, and offline viewing on mobile. The purpose of these features is to educate you and give you the competitive advantage over your competitors. LinkedIn designs these courses based off the skills competitors are looking for, so if you are serious about learning and want to stand apart then these courses and resources could be of benefit to you. LinkedIn Premium gives you the option to compare yourself to other applicants and see how you stack up in the job application. LinkedIn Premium also gives you advice and support in your job search, so that you can find the right jobs for you. 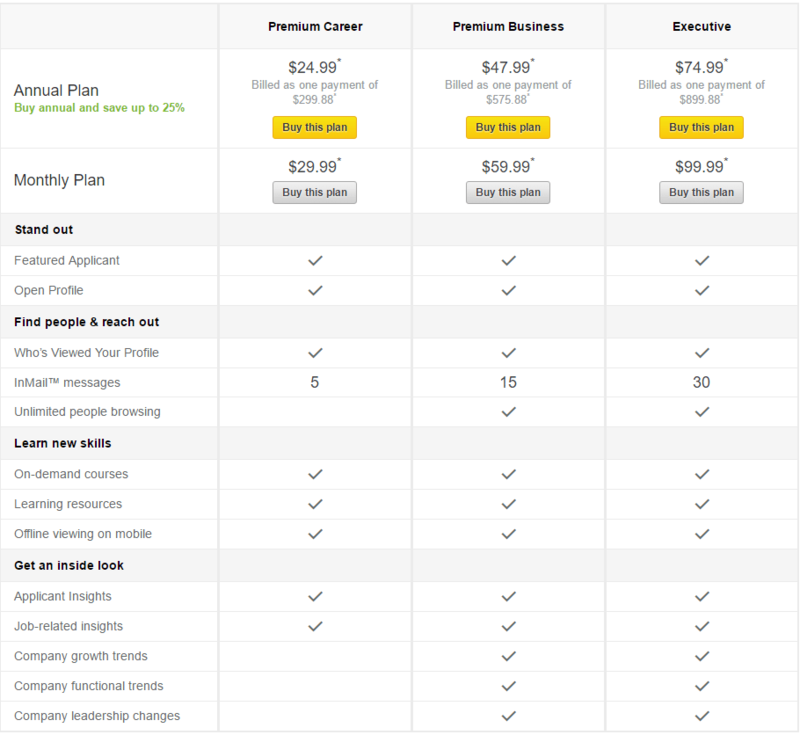 Well first off there are different LinkedIn Premium account types: Premium Career ($300 annually), Premium Business ($576 annually), and Executive ($900 annually). They all have the features previously mentioned, but the more expensive features give you more InMail messages monthly. The more expensive profiles also give you more information on companies allowing you to see company growth trends, functional trends, and leadership changes. Overall, we find the Premium Business and Executive plans to be too expensive and not worth the price unless you are relying on LinkedIn on a daily basis to recruit employees and grow your business. In regards to the cheapest Premium profile, we believe that it could be of benefit to certain people. If you are in the job hunt and having a hard time finding a job that matches your skillset or having a hard time standing apart, then LinkedIn Premium could benefit you. LinkedIn Premium could also help the recruiter who is using LinkedIn to find employees. In the end, everyone values money in different ways and will receive different amounts of utility from LinkedIn Premium. If you use LinkedIn frequently and these features sound appealing to you then give LinkedIn Premium a go – you do not have to commit to a whole year immediately and can always try a month for free. 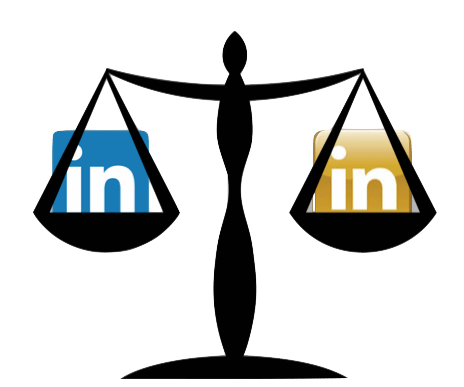 We personally do not find a need for LinkedIn Premium, but that does not mean LinkedIn Premium is not a good fit for you and your business. We are a small business not looking to hire employees and are not looking for a new job, so it follows that LinkedIn Premium is not of benefit to us personally. The features LinkedIn Premium offers can be incredibly beneficial to certain people, but we can testify that it is not for everyone. If you are thinking about LinkedIn Premium then try a month out for free, and from there you can make the decision of whether or not you want to pay for the service.